Boise officials announced a brokered swap Friday. 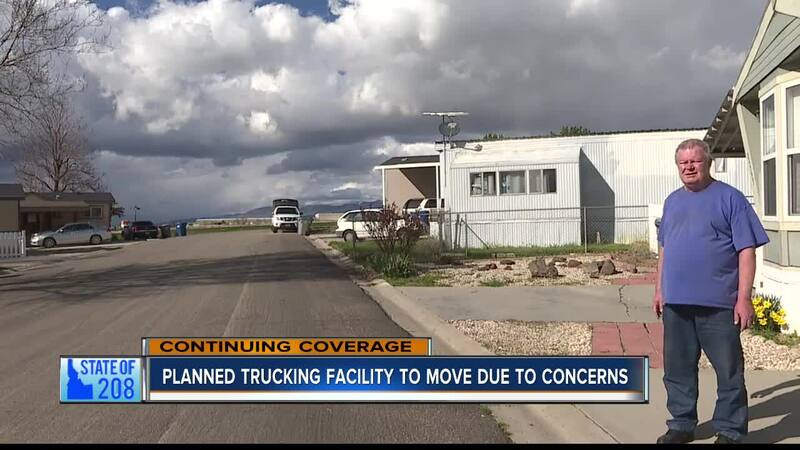 Boise city officials are presenting a solution to a months long debate between a trucking company, a neighboring residential community, and the city. BOISE, Idaho — It might not be flashy or boisterous, but that's exactly what residents love about Blue Valley, a manufactured home community in southeast Boise. "When I moved here, I didn't even know this place was here until I accidentally drove by, 'cause you can drive by it on the highway and never see it," said Michael Adams, longtime Blue Valley resident. He says the neighborhood is very quiet with lots of people that know each other. "And they're nice and quiet. And, people just love it here-- because of the quietness." So when trucking company R&L Carriers proposed building a terminal adjacent to the property, many residents were unhappy. "To me that's just too close... trucking terminals-- first thing I think of-- all the way through the night, noise. And then if they're refueling-- there's all that smell." So when residents spoke up, city council listened. "If you have an opportunity to make right what wasn't, we in government ought to take that opportunity," said Mayor David Bieter, City of Boise. Now, the city is presenting a solution: Mayor Bieter brokered a land swap with R&L's original property for a nearby city-owned parcel. So what was once going there, is now down the road a quarter mile, near the Winco facility on Eisenman Rd. "Which makes more sense," said Adams. Bbecause the lot trucks use that already. Winco-- hundreds of trucks every day, and it's further away, and it's better access to the highway." Rhe properties are nearly identical in size at about 13 acres. Ultimately, as Mayor Bieter pointed out, R&L showed their eagerness to be a good neighbor. "Are you happy they're not gonna put the trucks next door?" asked Adam's neighbor to her toddler daughter.